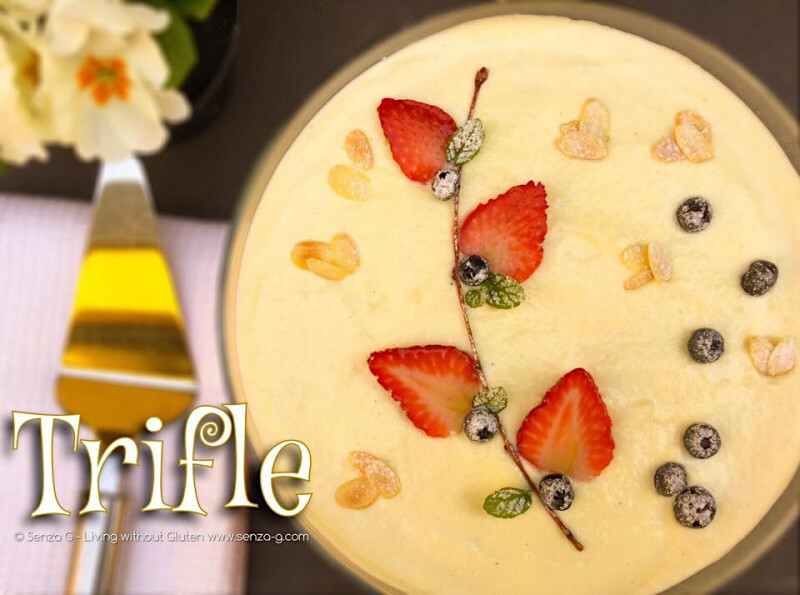 This ‘Maltese’ style of Trifle reminds me of my childhood. It was quite popular during that time and if invited to someone’s house, somehow, you are either given Trifle or you take them a Trifle! 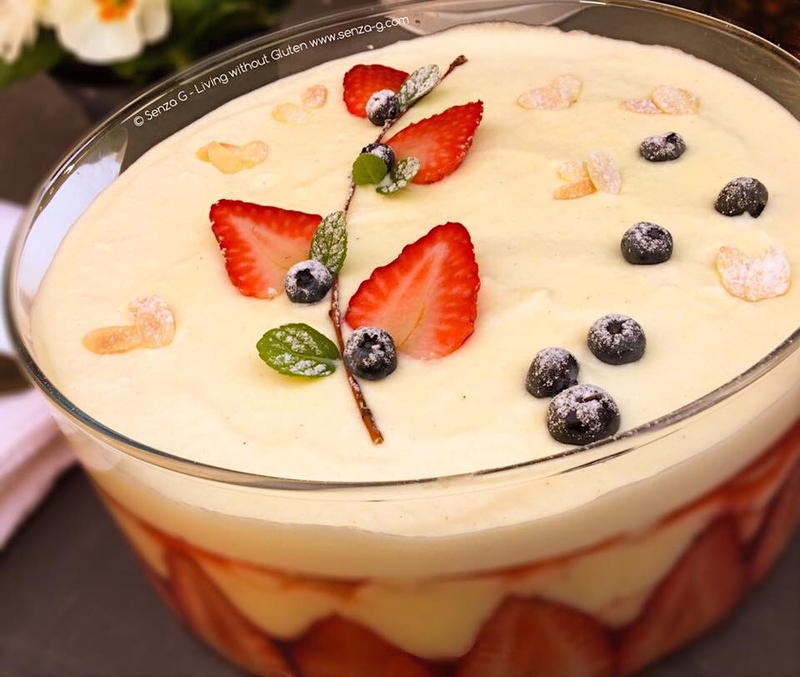 It is a refreshing dessert as it is eaten chilled and is exploding with so many different yummy flavors! Slice the strawberries lengthwise and choose the best looking and equally sized ones. Line a glass dish with the strawberry slices. Set aside a few to garnish and the rest to layer in the trifle. Slice the Madeleines in half lengthwise and lay the cake slices in the dish evenly. Sprinkle the cake slices with some Cointreau. Prepare the Jello as per package instructions, however add less water than is required. Pour the liquid Jello over the sliced cake pieces. Place the remaining sliced strawberries and scatter a few chopped walnuts. Prepare the Crema Pasticcera according to the instructions on the package. The one I used, San Martino could not be easier! You just have to sprinkle the contents slowly in tepid milk and whisk until it thickens. Gently pour this over the Jello. Thank you San Martino! Place the thinly sliced bananas over this layer and again sprinkle with chopped walnuts. Prepare the Mascarpone topping by first whisking the egg white until stiff-ish peaks form. In another bowl beat the yolk with the sugar, vanilla and cinnamon. Add the mascarpone and ricotta and mix until smooth. Fold in the eggwhites gently to combine. Pour this over the bananas and level. Place in the fridge to set. Garnish with the strawberry slices and/or any other fruit and flaked almonds.